The prayer shawls used by Jews today were not used in antiquity. They evolved from the everyday item of clothing they wore that had four corners to which they affixed tassels (called in Hebrew “tzitzit”) per the Lord’s command. 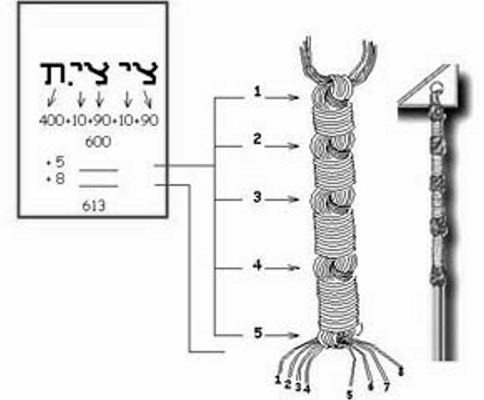 The Torah has two places where Jews are instructed to wear tzitzit on their clothing. Numbers 15:37-38 37 The LORD said to Moses, 38 “Speak to the Israelites and tell them that throughout their generations they are to make tassels for the corners of their garments, and put a blue cord on the tassel at each corner. 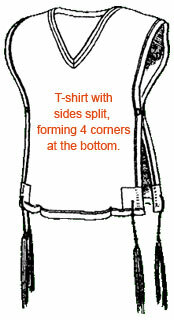 Only Orthodox Jewish men wear the four-cornered garment with tzitzit these days. 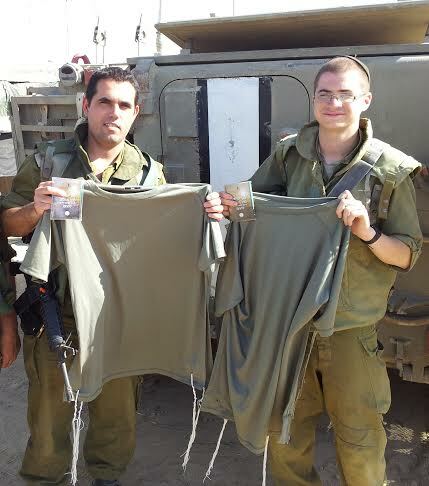 For all other Jewish men, there are prayer shawls that serve the same purpose. The shawl is usually worn only during morning prayer, while the garment is worn throughout all the daylight hours. It is rare for Jewish women of other denominations to wear the prayer shawl, and they never wear the garment. The prayer shawl itself is not important – the tassels (tzitzit) are. They are to serve as a constant visual reminder of the oneness of God and of the need to fulfill God’s commandments. Interestingly, they serve as a reminder not only to the wearer, but also to anyone else who can see the tassels. 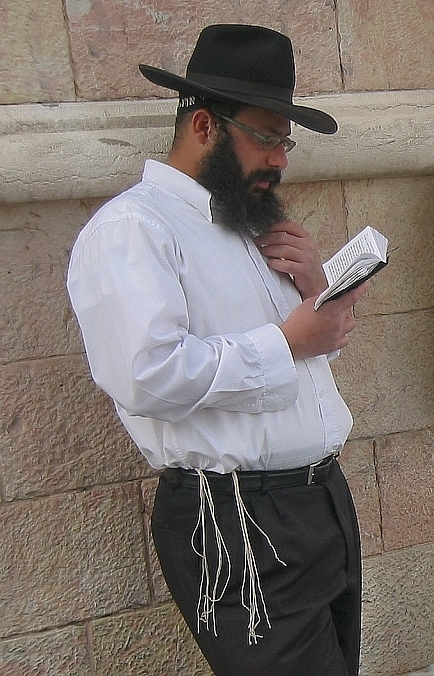 The tasseled four-cornered garment that the Orthodox Jews wear is worn underneath the regular clothes and is called a tallit katan, meaning a “small tallit”, or it is also called arba kanfot, meaning “four corners”. 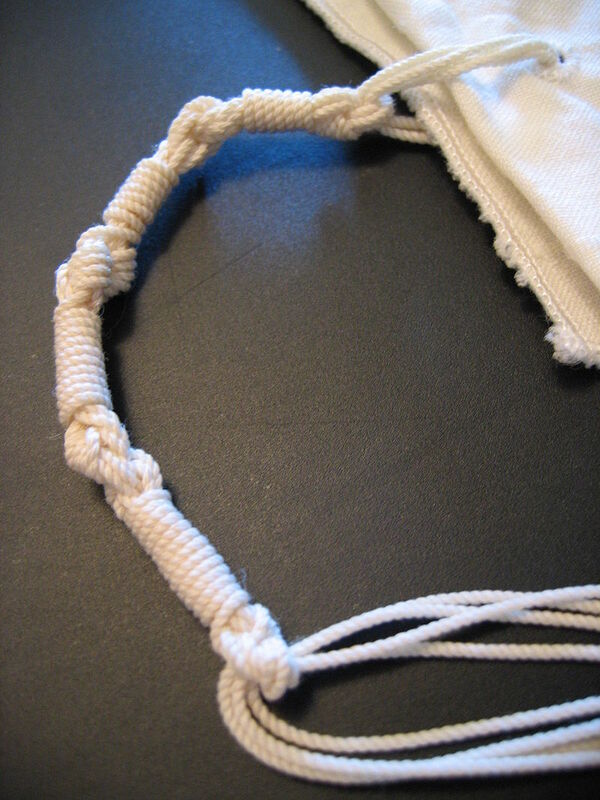 It is popularly known as simply “the tzitzit”, while the large prayer shawl is commonly known as “the tallis”. There are no specific requirements as to the size or color of the tallit. The most important thing is that it has four corners that tzitzit are affixed to. Some tallits are large enough to wrap over the head to make a sort of tent so that the wearer can be in seclusion with God while he prays. Some are so narrow that they look more like scarves. One side is given a special band, called the Attarah, to mark the top outside of the Tallit, as it is considered a garment and thus must not be worn upside down or inside out. 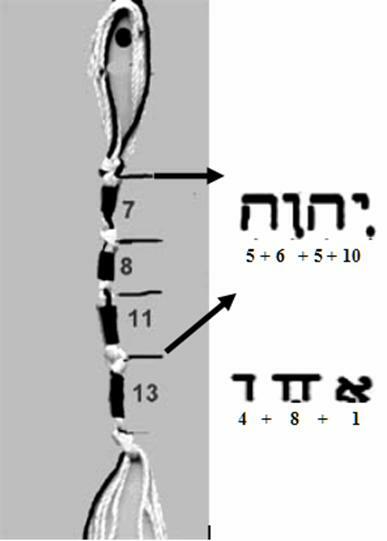 The Tzitzit have very specific and detailed ways that they are tied and knotted. There are different opinions as to exactly how many knots and wraps around the group are to be done, but each style has significance. 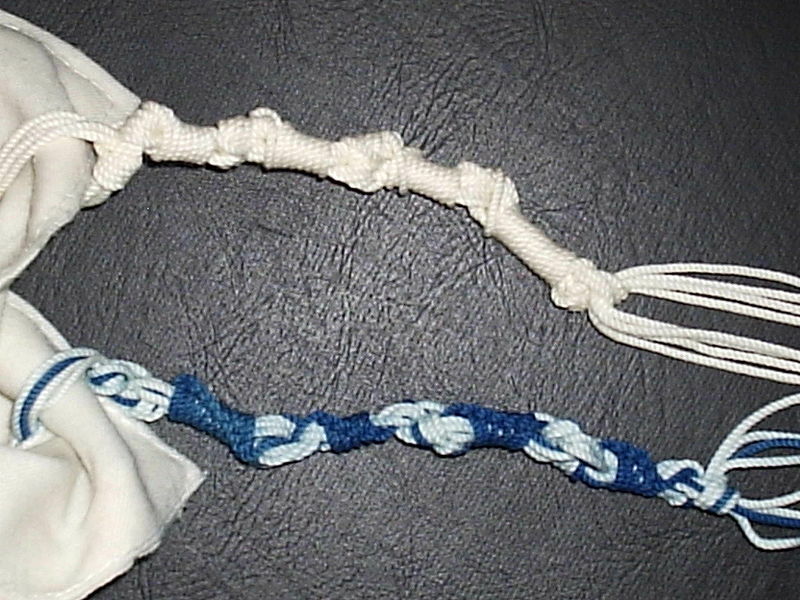 In the past, one thread was always a royal blue, but some experts say that the source of that color has been lost, so rather than get it wrong they recommend using all white threads to create the tzitzit. My soul, bless the Lord! Lord my G d, You are greatly exalted; You have garbed Yourself with majesty and splendor. You enwrap [Yourself] with light as with a garment; You spread the heaven as a curtain. Ba-ruch A-tah Ado-nai E-lo-hei-nu Me-lech Ha-olam A-sher Ki-de-sha-nu B’mitz-vo-tav V’tzi-va-nu L’hit-a-teif Ba-Tzi-tzit. Blessed are You, Lord our God, King of the universe, who has sanctified us with His commandments, and commanded us to wrap ourselves in Tzitzit. Note that we are commanded to wrap ourselves in the tzitzit, not the tallit. The fringes are the focus, not the garment that holds them. The prayer shawl itself is just a vehicle for the tassels. Then you pull the Tallit over your head and wrap the two tassels of the right side over the left shoulder and recite the following verses from Psalms 36:8-11. Ma Ya-kar Chas-de-cha E-lo-him, U-v’nei A-dam B’tzeil K’na-fe-cha Yir-v’yun M’de-shen Bei-te-cha, V’na-chal A-da-ne-cha Tash-keim. M’kor Cha-yim, B’ohr-cha Nir-eh Ohr. M’shoch Chas-d’cha V’tzid-kat-cha L’yish-rei Leiv. How precious is Your kindness, O G d! The children of men take refuge in the shadow of Your wings. They shall be satiated with the delight of Your House, and You will give them to drink from the river of Your bliss. For with You is the source of life; in Your light we see light. Bestow Your kindness upon those who know You, and Your righteousness on the upright in heart. 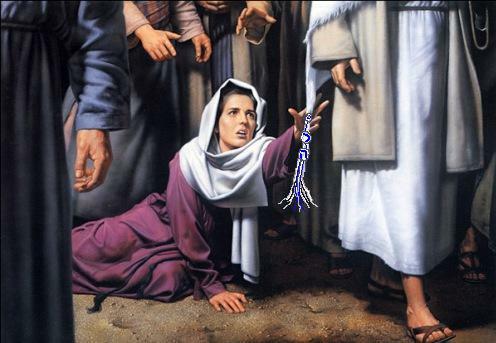 Matthew 14:36 They were begging Him that they might only touch the tassel on His robe. And as many as touched it were made perfectly well. It is worth noting that the tzitzit are visible most when we have our eyes downcast, as when we are depressed. It is then that we most need to be reminded of the closeness of God. Following God’s commandments helps us to get back on the proper path, and seeing the tzitzit remind us to do so. All Bible translations are from the Holman Christian Standard Bible. This entry was posted in Religious and spiritual and tagged Jewish, prayer shawl, tzitzit. Bookmark the permalink.